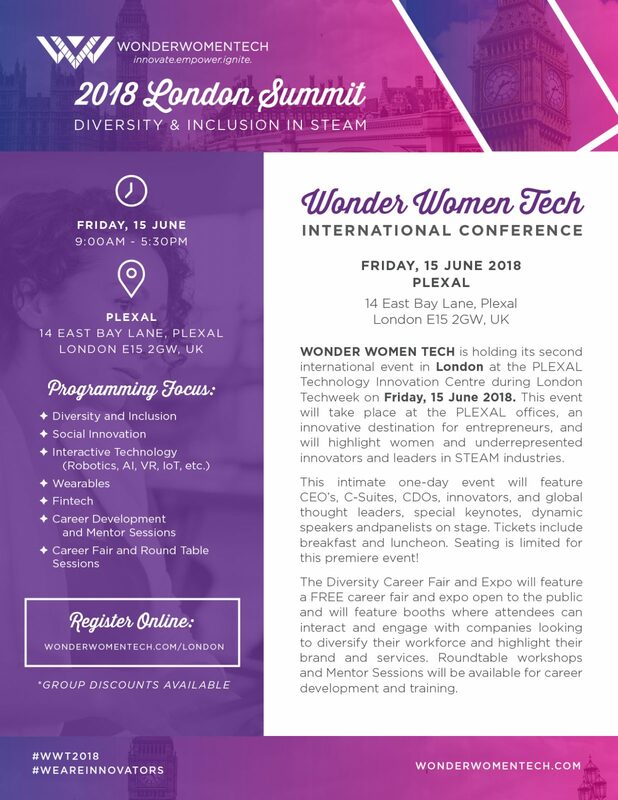 We’re partnering with our US partner to bring the second WonderWomenTech conference to the UK and would love you to join / support or be a part of it! What Magic Can You Expect? Wonder Women Tech is Back and bigger than ever! We’ll be at the Plexal Innovation Centre on June 15th for a day of talks, panel discussions, mentor sessions, workshops and a career fair that is free and open to the public! We are planning a magical day to highlight, celebrate and educate women and the underrepresented in STEAM industries. What can you expect? Let last year’s video share the magic with you: WATCH! · Tell the world you’re a speaker, sponsor, mentor, partner with Wonder Women Tech London!